Following a public hearing held on April 6, 2016 in Ottawa, ON, the Canadian Nuclear Safety Commission (CNSC) announced today its decision to renew the Canadian Nuclear Laboratories Limited (CNL) Nuclear Research and Test Establishment Operating Licence for the Chalk River Laboratories site located near Chalk River, ON. The licence will be valid from July 6, 2016 until March 31, 2018. This licence renewal includes several licence amendments requested by CNL. In making its decision, the Commission considered submissions from CNL and 16 intervenors, as well as CNSC staff’s recommendations. CNSC staff will present the Commission with updates on CNL’s performance in the “fitness for service” safety and control area (SCA) at every public meeting of the Commission, until CNL achieves a satisfactory rating in this SCA. CNSC staff will also report annually on the performance of Chalk River Laboratories at a public Commission meeting. 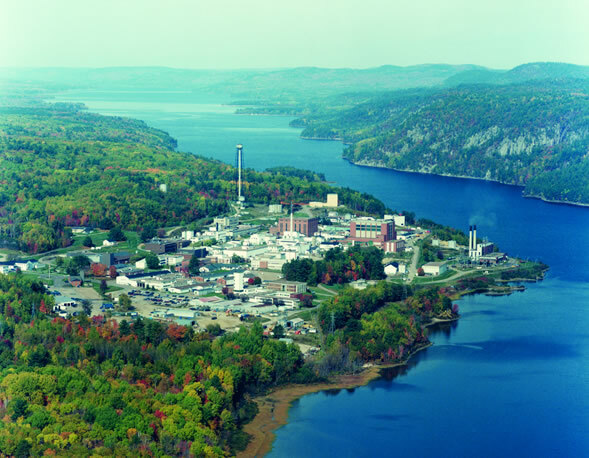 On November 3, 2014, all licences for the operation of Chalk River Laboratories (CRL) were transferred from Atomic Energy of Canada Limited (AECL) to Canadian Nuclear Laboratories Ltd. (CNL). The National Research Universal (NRU) reactor, one of the world’s most versatile research reactors, has been operating at CRL since 1957. NRU is Canada’s only major materials and fuel testing reactor, used to support and advance the CANDU design. NRU does not produce electricity, but rather tests the fuels and materials for CANDU reactors.